I saw this posted on Facebook a few days ago, when one of my friends either reposted or commented on it. I didn't comment on that post, simply because it was a "public" post, and I am NOT thrilled with the fact that my privacy settings mean NOTHING if my friends don't have privacy settings, so I am very careful about what I will and won't comment on these days. I was raised in a Christian household, and while we actually went to several different churches over the years, and my father is Lutheran (and I was baptized in a Lutheran church as an infant), my mother was raised in the Methodist Church, and, when where we attended was totally up to her, it was always a United Methodist Church. To say that the Methodist church shaped my beliefs practically from birth would be an understatement. Many years ago, when I was a young woman, I mentioned to one of the ladies who has become much like a second mother to me, that it seems to me that who we (Christians & Jews) call God, and the Native Americans call Great Spirit, Muslims call Allah, or whatever the faith system is calls their supreme being, is the same entity, who is called by different names, and worshipped in different ways, none of them inherently wrong, just different. She patted me on the arm and said "honey, that's because you're a United Methodist." I've truly never understood hate and bigotry in the name of anyone or anything, and I really don't have patience for it. 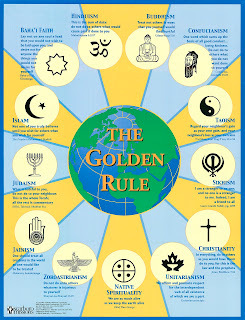 Virtually every spiritual belief system has some form of what Christians understand as "The Golden Rule". I have friends of various faiths, and really, it doesn't matter to me what their belief is, it matters more that they have a belief system that works for them and brings them the comfort that they need, when they need it. I don't want to convert anybody, hell, I'm not even sure what I would be converting them to, at this point, considering that I embrace parts and pieces of various belief systems into my daily life. I use Native American salves and incenses to soothe aches and pains, and prevent my cold from becoming an upper respiratory infection. I take a moment to be extra grateful for the seasonal changes with solstices and equinoxes as Pagans and other nature-based faiths do. In fact, according to BeliefNet's Belief-O-Matic, I am NeoPagan, Unitarian Universalist, or Reform Jew. I think it's interesting that it shows up that way, but in all the times I've taken it, over the 5 years or so that I've known about the quiz, it always comes out that way. 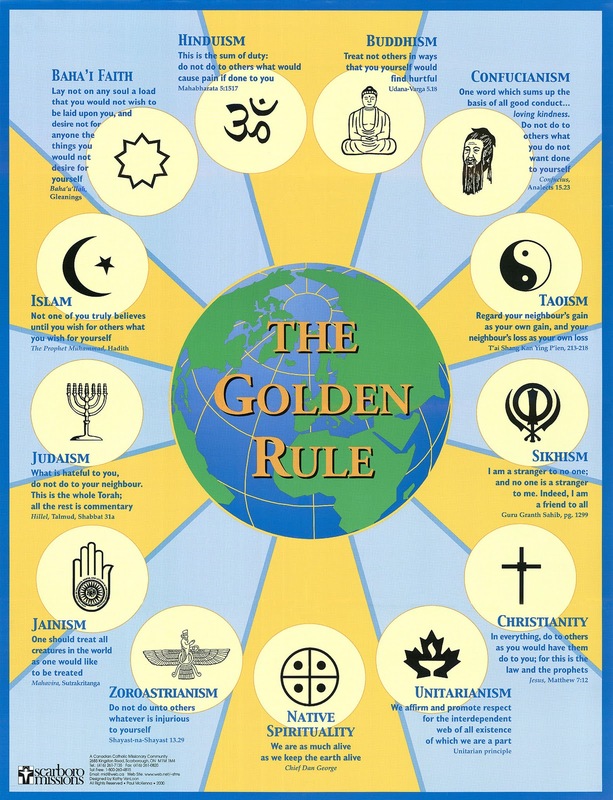 Farther down the line are Liberal Quakers, Mahayana Buddhism, New Age, Theravada Buddhism, Mainline to Liberal Christian Protestants, Sikhism, and Jainism round out the top ten. I admit that I am not a perfect being, but I do try not to do things that would affect others in ways that I wouldn't want to be affected. I try not to say anything about anyone that I wouldn't say TO them. Granted, there are times when I would say it more nicely TO them than I do when I am venting about it, but I'm pretty open, and what you see is what you get. Don't judge me, I won't judge you, and we'll get along just fine.